Prototype: Wurttemberg State Railroad W.St.E. type C4 day coach. 4th class. Model: The car has separately applied metal roof vents. It also has etched metal end crossover platforms and roof supports. The car has folding foot plates. Length over buffers 18.3 cm / 7-3/16". DC wheel set E700580. Different car routing signs included that you can affix to the car sides. 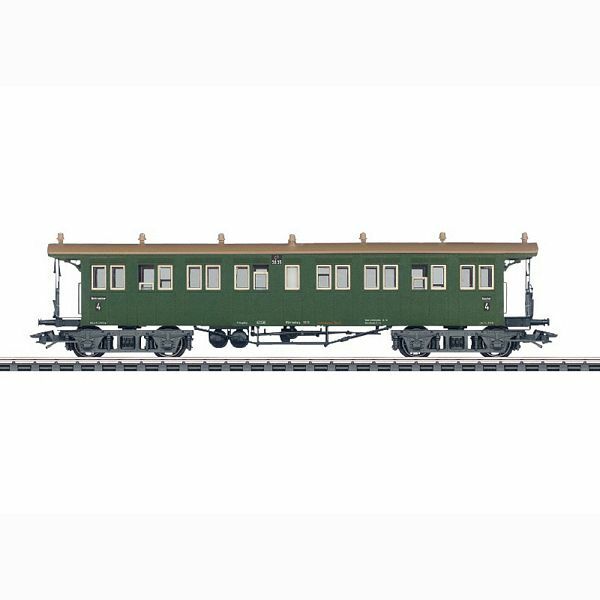 The class T 18 tank locomotive goes with this car and can be found in the Marklin H0 assortment under item number 37079.